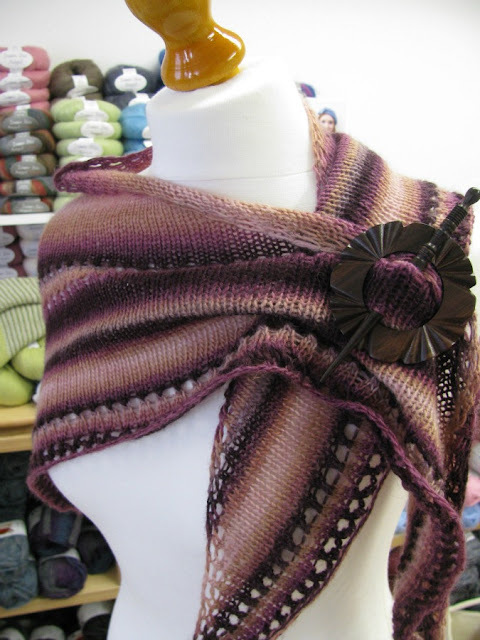 casually pinned - shawl pin in the shop! This shawl is worked top down. You start with 3 stitches and increase 6 stitches every alternate row using yarn overs. 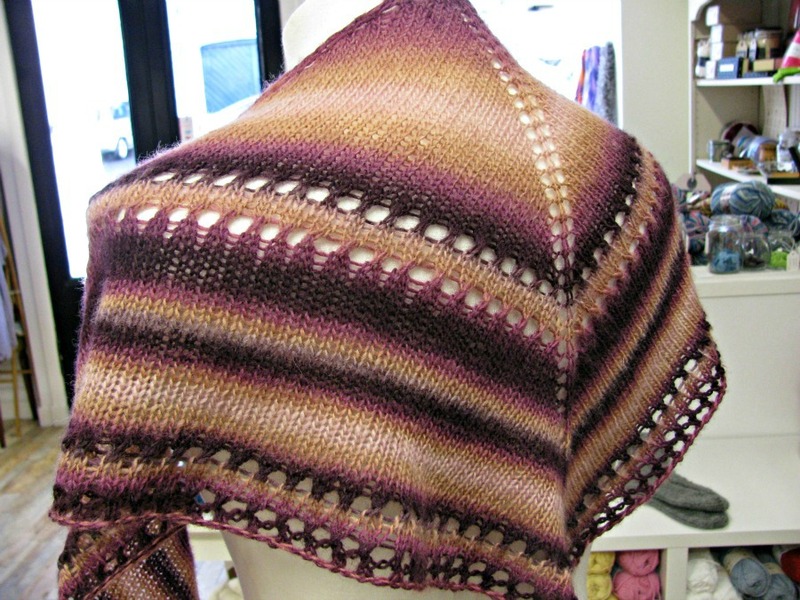 This shawl takes 1 ball of Louisa Harding's Amitola - a wool silk blend with long colour repeats. 1 ball! By soaking the shawl, gently squeezing out the water then stretching and pinning it - you greatly increase the size and open up all the yarn overs. The pattern is very flexible - you can do no eyelet rows or more eyelet rows... just make sure you have enough yarn to cast on! 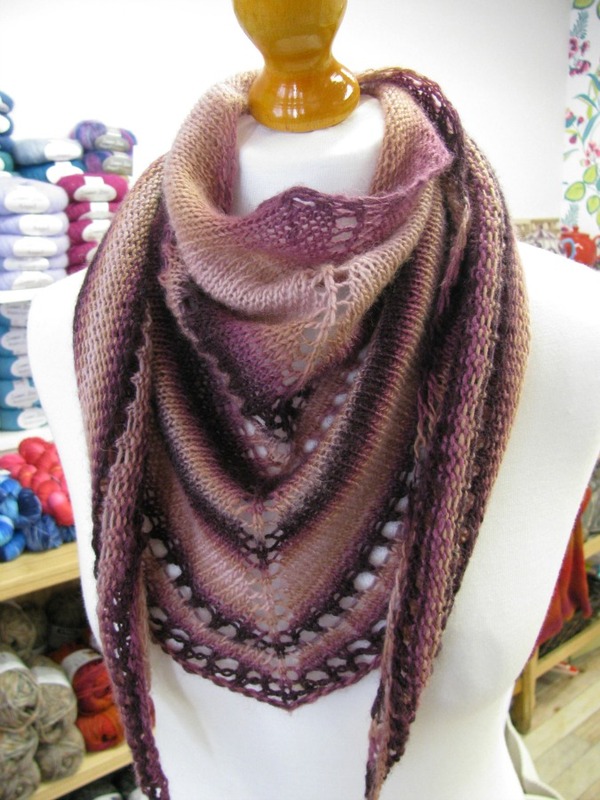 Pattern and yarn available in the shop!